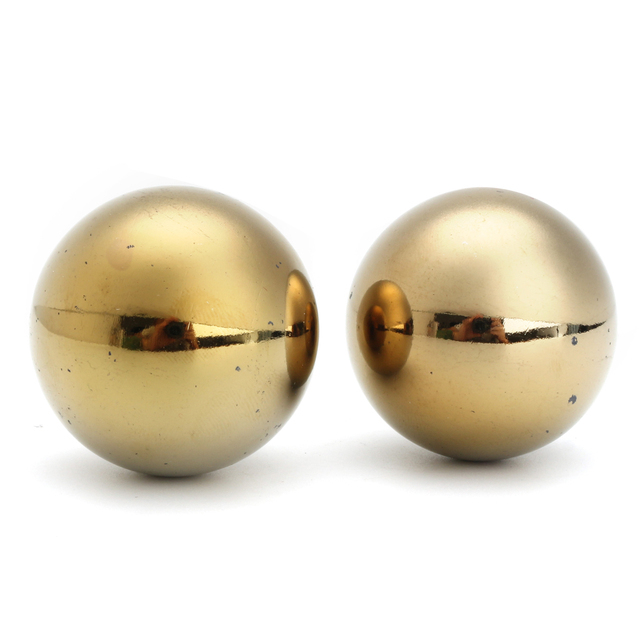 Hand Therapy Balls Stainless Steel Chiming – Chinese stress balls have a history dating back as far as the Han Dynasty, between 206 B.C. and 230 A.D., when people used walnuts to exercise their hands. Since then, the balls have been manufactured with various types of metals — first iron, and later stainless steel, chrome or brass. You can use the balls — which are also called Baoding balls, exercise balls or therapy balls, as a daily relaxation exercise, or to stimulate the acupressure points on your hands. The balls stimulate and exercise your hands muscles by moving both of them in one hand. The balls are metal, hollow and have chiming sounding plates inside. They make crisp and rhythmical sounds when moving. Play them to relax and reduce stress.